On Saturday, November 13, 2010, a historic first occurred when the two largest ships afloat met for the first time. The Allure of the Seas had just arrived from Finland to its home port of Port Everglades, Fort Lauderdale, Florida when it was met by it's sister-ship Oasis of the Seas. Royal Caribbean International has been in contract talks with ship-builder STX France. It appears that talks broke down with STX Finland, who built the currently sailing Oasis-class ships, Oasis of the Seas and Allure of the Seas. RCI has just confirmed plans to build a third 5400 ton vessel, yet to be named, by mid-year 2016. The Oasis-class ships have been so successful, with their seven neighborhoods and specialty dining options, that Royal Caribbean is in the midst of a $700 million revitalization program across the entire fleet. (see our Grandeur of the Seas Revitalization articles for one of the latest upgrades). The cost of the new sister ship was not disclosed in the Royal Caribbean announcement, but when the rumors first surfaced in November, Royal had indicated the cost of the third ship was expected to be less per berth than the previous ships. Royal Caribbean also has a one-year option to build a fourth ship in the Oasis-class. 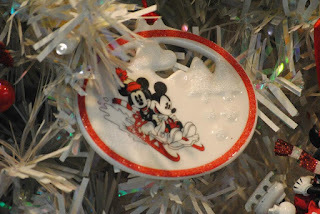 Holidays are about families, and what better example of a happy family then the characters of Walt Disney's imagination. One highlight for us this year was our National Conference which was held at Walt Disney World Resort and aboard Disney Dream. During this conference, our hosts, Disney Destinations, showed us how they entertain families both on land and at sea. As the saying goes, Disney's success started with a mouse. Today Disney provides families with great value at the resorts and ships from coast to coast. We were fortunate to be able to sail on one Disney's newest ships during our conference. 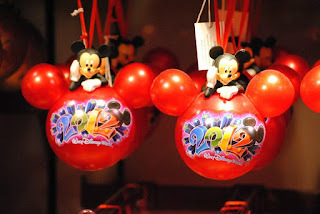 There is something for everyone that loves Disney characters during a Disney land and sea vacation. Greet your favorite characters, get an autograph or a photo with them, have some Mickey Mouse pancakes or waffles for breakfast, zip around the ship on a raft in the Aqua Duct. Get welcomed aboard the ship by your cast of Disney characters. Watch out for pirates during the Pirates in the Caribbean party. Most importantly, spend some time together as a family enjoying all the entertainment that the Disney staff has in store for you from the time you arrive at the resort or board the ship. We hope that your Christmas tree was filled with many special gifts this year. Perhaps one of them contained a gift certificate for a cruise or resort stay at one of Disney parks or ships. Even if you didn't have a Disney vacation wrapped up in a box under your tree, there's still plenty of opportunity for you to surprise your family in the New Year with a trip that they will remember for years to come. 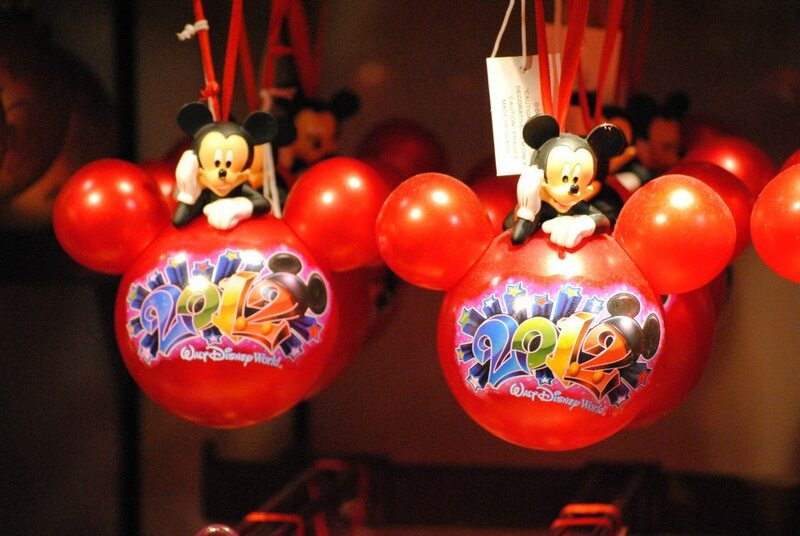 Make some memories in 2013 with your family and friends. Thank you for letting us be a part of your lives this holiday season and throughout the year. We hope that you've enjoyed our gift of stories and photos from our cruise and land trips. We would be happy to help you plan for your next vacation. Here's your chance to see all the amazing WOWs Royal Caribbean added to the Grandeur of the Seas as we continue our WOW Button Tour. During a recent 30-day revitalization dry-dock, part of Royal Caribbean's Royal Advantage SM program, the Grandeur became the next ship to complete the program, which will enhance the entire fleet. See Royal Advantage Expanded for more information about the project and schedule of ship completions. What's New on Grandeur of the Seas? We were fortunate to be invited to the Revitalization Debut of the Grandeur of the Seas in November. Continue exploring the New Grandeur of the Seas as we take you along with us on the Grandeur WOW Button Round-Up. Royal Caribbean cruises are the ultimate family vacation, so it makes sense that they are adding new Family Suite accommodations that sleeps several guests comfortably to Grandeur of the Seas. The main part of the cabin can be divided into two sections with a queen bed in one part and sleeper sofa in the other. Around the corner are two twin beds for the youngsters in the family. For larger families, there are also pull down beds in that same room. Looking out the window of your Family Suite on Deck 8, you can see the bridge. Because of the bridge, they were unable to add a balcony, but the cabin is still ideal for families. Here's your chance to see all the amazing WOWs Royal Caribbean added to the Grandeur of the Seas during a recent 30-day revitalization dry-dock. This is part of Royal Caribbean's Royal Advantage SM program which enhances the entire fleet. See Royal Advantage Expanded for more information about the project and schedule of ship completions. Following the WOW Button trail, we arrived outside Chops Grille where we received our button for Deck 6 dining options. We would next explore two of our favorite restaurants that are now available on the revitalized Grandeur. Chops is an elegant restaurant serving juicy steaks, fresh seafood, hearty side dishes, and delicious desserts. There is a $30 cover charge as of this writing. The only other expense would be any extra gratuity you chose to leave and your beverages from the bar. Chops Grille is an old time favorite of loyal Royal Caribbean Crown & Anchor Members; try it on your next Royal cruise. See our Grandeur of the Seas Dining photo album for more images from these two dining options and more. Whether you want a romantic dinner with your significant other several of your new sailing friends, Chops Grille can accommodate your reservation request. You can see that several tables can be combined for larger groups. Enjoy an Italian trattoria serving family-style rustic Tuscany dishes with a contemporary flair. On the Grandeur, dine with your family and friends while enjoying the view out the expansive wall of floor to ceiling windows. Make sure to leave room for your favorite Italian desserts like tiramisu. There is a $20 cover charge for this venue. Of course, you'll probably want to pair your meal with a nice glass of red wine. Be sure to click the photo album link above for more images of both of these fabulous restaurant favorites retrofitted into the Grandeur of the Seas from the Allure and Oasis of the Seas. The attack caught America by surprise, killing 2,400 Americans, sinking 12 ships and destroying 188 aircraft -- and triggering U.S. entry into World War II. In fact, the U.S. declared war on Japan the following day when FDR made the above quote. Seventy-one years ago today the United States was drawn into World War II when Pearl Harbor was attacked. While this was before I was born, it is still a date that is impossible for me to forget. Ceremonies mark the anniversary today. Among those will be a special tribute to the battleship Arizona, which exploded and sank during the attack, killing more than 1,100 officers and servicemen aboard. The ship's hull remains at the bottom of Pearl Harbor, marked by the USS Arizona Memorial overhead. These pictures were taken during a visit to the U.S.S. Arizona Memorial during a cruise vacation to Hawaii. The background of this image is the oil slick which still rises to the surface of the water around the memorial. These images remain in my mind several years after our visit. We were so moved by our visit, we went back the next day for a second visit. Out of respect to the Sailors and Marines entombed below, visitors are asked to remain silent during their visit. The silence adds to the eerie atmosphere at the memorial. Visiting Hawaii by cruise ship is a great way to see the islands. Instead of making your own arrangements to move from one island to another, the cruise itinerary is already planned for you. All you need to decide is what excursions you want to do on your own or with a group. You can choose from a 7-night itinerary on Norwegian Cruise Line's Pride of America or a longer cruise, typically 14 or 15 night Circle Cruise which starts somewhere in California, goes to Hawaii and returns. Cruise vacations to Hawaii, often start or end in Honolulu, Oahu. I would encourage you to visit the U.S.S. Arizona Memorial during your visit there. It is even more moving when you visit on or around December 7th. For more information about U.S.S. 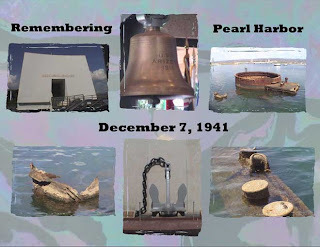 Arizona Memorial and today's events, see the National Park Service website. November 30 marks the end of the 2012 Atlantic Hurricane season, one that produced 19 named storms, of which 10 became hurricanes and one became a major hurricane. The number of named storms is well above the average of 12. The number of hurricanes is also above the average of six, but the number of major hurricanes is below the average of three. Hurricane Isaac and Superstorm Sandy were the most disruptive to the travel industry causing flight cancellations and altering the courses and even cancelling cruises. Typically one expects itinerary changes during hurricane season, but usually the ships are able to sail to more peaceful waters away from the approaching storm. In the case of Superstorm Sandy, which was a hurricane on steroids, ports were closed preventing people from getting to the pier and ships from getting back to the port, thus cancelling the cruise completly. Cruise lines take the safety of passengers, crew, and ships very seriously, so decisions that were made, to alter courses or even cancel the cruises, were done in the interest of safety. According to a press release issued by NOAA, This season marks the second consecutive year that the mid-Atlantic and Northeast suffered devastating impacts from a named storm. Sandy, and Irene last year, caused fatalities, injuries, and tremendous destruction from coastal storm surge, heavy rainfall, inland flooding, and wind. 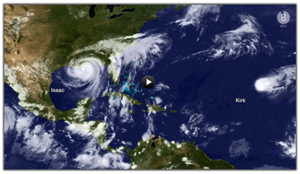 Storms struck many parts of the country this year, including tropical storms Beryl and Debby in Florida, Hurricane Isaac in Louisiana, and Post-tropical Cyclone Sandy in New Jersey. The Atlantic Hurricane Season got off to an early start with two named storms, Alberto and Beryl, developing prior to the June 1st official start. The season ended prior to November 30th with Sandy impacting the East Coast of the United States.